Inside the Vatican Pilgrimages are different from all other tours and pilgrimages. We craft a daily itinerary which creates a fabric woven of spiritual, historical and personal elements – the personalities of great saints, the personalities of those we encounter and the personalities of our pilgrims with everything they bring from their lives and their faith journeys. Our pilgrimages, therefore, are unique, unrepeatable experiences. Our Signature pilgrimages — small, private groups averaging 15 pilgrims – are impossible to mass produce. They are like a product of an artisan, a work of art that reflects the painstaking commitment of an artist to create something of great and unique beauty. To learn more about our Signature Pilgrimages click on the button below. What is a signature pilgrimage? Join Inside the Vatican Pilgrimages in this unique opportunity to journey to England to follow in the footsteps of great English men of faith such as Blessed John Henry Newman and Saint Thomas More! On our Signature “In the Footsteps of Saint Thomas More and Blessed John Henry Newman” Pilgrimage you will have the opportunity to stand in Saint Thomas More’s cell in the Tower of London, where he spent his last month before his martyrdom. We will also visit Oxford, where Blessed John Henry Newman lived and taught. On this special pilgrimage we will be joined by Catholic expert and author, Kevin Turley. Tour the Tower of London and the Tower Hill, the site of St. Thomas More’s execution, on the Feast Day of St. Thomas More. Spend three (3) nights at the 4-star Oxford Spires Hotel, alongside the Thames River. Take an excursion to Littlemore to visit the International Centre of Newman Friends and the sites where Newman lived, prayed and studied before his conversion. Visit with the Sisters of the Blessed Virgin Mary, in the Personal Ordinariate of Our Lady of Walsingham, and learn of their amazing journey of conversion from Anglican sisters to Catholic nuns. Two great English men are waiting to welcome you to their homeland. 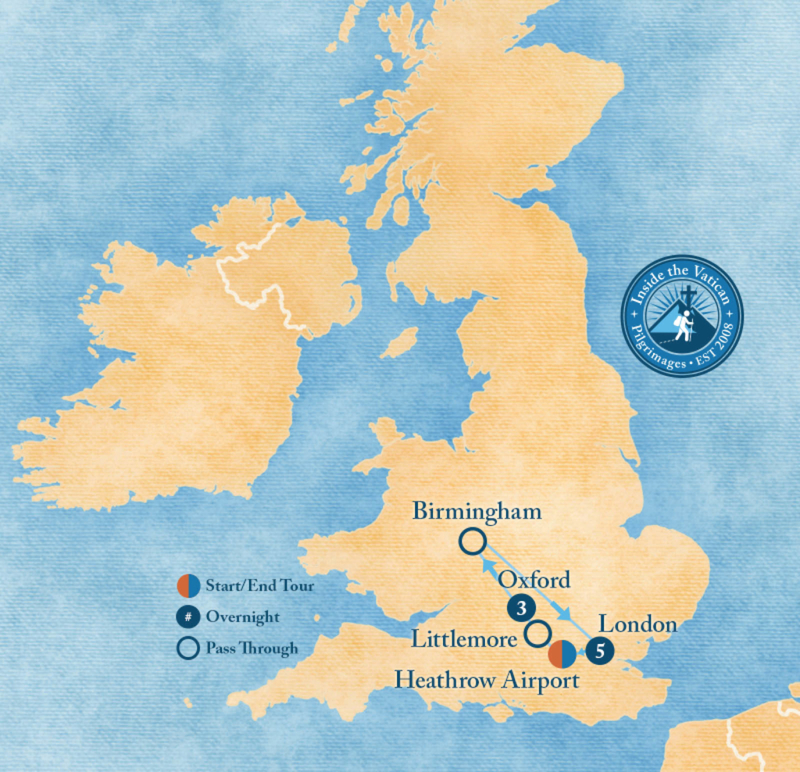 Two great cities form the basis of the tour: Oxford and London. Both are inextricably linked to these men. Both cities have tales to tell of the faith and much to ask of you through those tales. Inside the Vatican and I invite you on a pilgrimage of the mind and the heart as much as through the shires and green fields of England. Our guides are the martyr Saint Thomas More and the 19th century intellectual Blessed John Henry Newman. 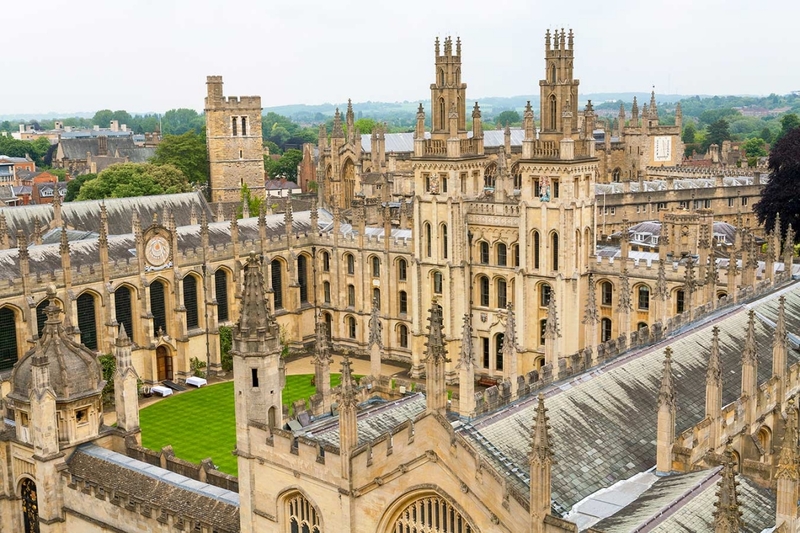 Whether we are walking down the narrow cobbled lanes of Oxford with their echoes of centuries of learning or through the equally narrow streets of medieval London with their echoes of bloody persecutions, we will be uncovering the secret history held in these streets. And, above all, that history is a Catholic history, maybe hidden, sometimes obscured, but not forgotten. It is a history that still resonates for the modern pilgrim. You see, the history you will experience on this pilgrimage is a living history. Yes, you will learn of Newman and his spiritual quest, one that led him to the truth of the Catholic faith. But you will also learn of the modern “Newmans” – the twelve Anglican nuns who gave up everything to make the same pilgrimage as Newman did some 150 years earlier. The only thing is these nuns are as alive today as you are. Their incredible faith filled story is of today and for today. 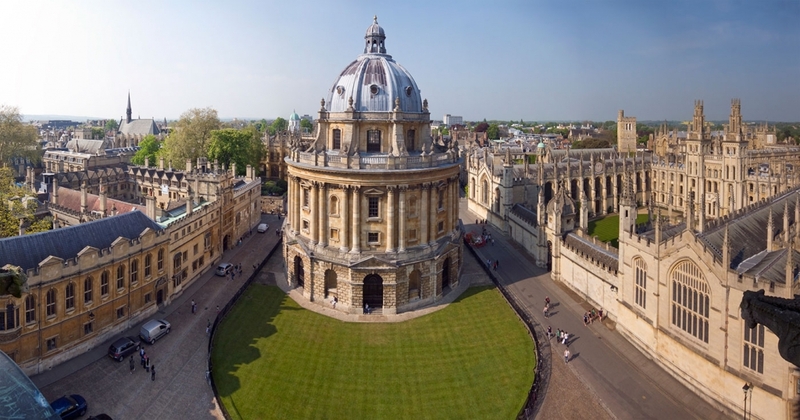 Of course, we will show you the culture and outward history of London and Oxford: you will see the “sights;” you will eat and drink to your heart’s content. All of this you would expect. Rightly. But we offer you something else, something more mysterious still. London, where both More and Newman were born, is a city where the Catholic history is there for all to “see” – but only if you have the eyes of faith. And you have to “scratch” the city’s ancient stones to find it, or, maybe, more correctly, those ancient stones have to rub against you for you see it. That’s where we come in. Inside the Vatican Pilgrimages help you discover this “other” history. But there is an even greater surprise to all this. You see, you will hear of martyrs; you will be told of heroism in the face of persecutions; you will walk streets where saints lived and then died rather than renounce the most precious thing they possessed: their Catholic faith. All of that you would expect. Rightly.